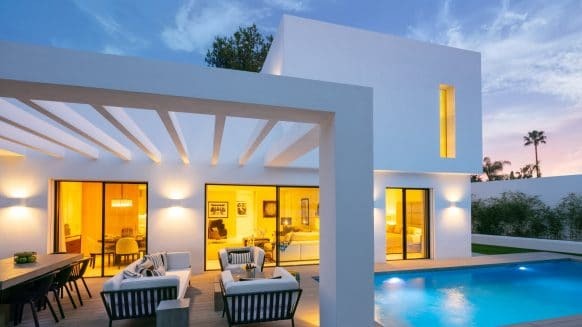 When people are looking to buy a home on the Costa del Sol, they usually have a fairly good idea of what they want it to look like. 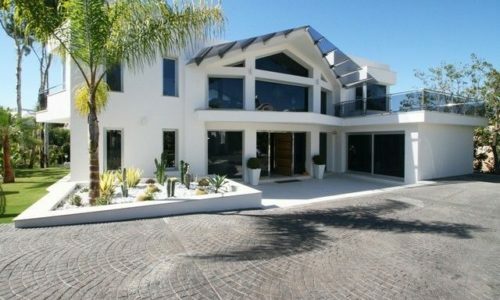 ‘Luxury modern homes’ is one category that is very popular amongst buyers of top quality property. Sleek design, straight lines, elegance in its minimalist simplicity – these houses are a delight to look at and to live in. Curious about what’s currently on the market? 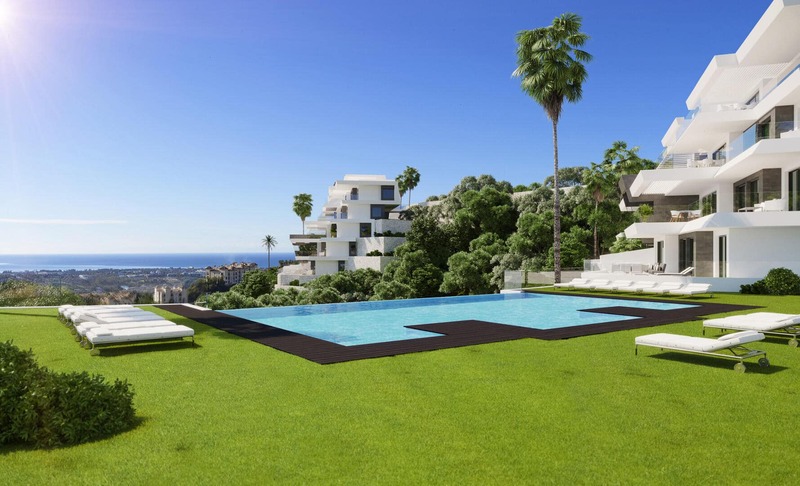 We’ve gathered some of the most magnificent modern homes for sale near Marbella for you to view. Have a look and be inspired by these contemporary villas and apartments! If you like modern homes, stunning views and a good game of golf, then this apartment is an ideal home base for your getaway holiday. Not just the design but also the appliances are of top modern quality and make for a super comfortable home. 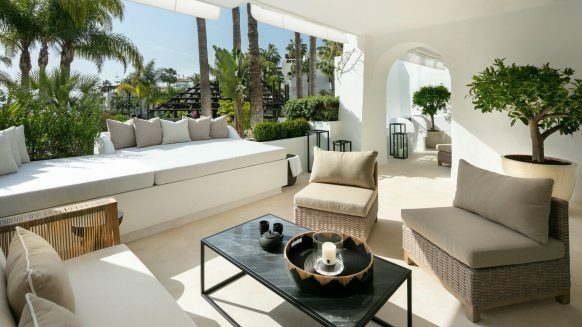 Designed for indoor and outdoor living, this apartment is perfect all year round. Enjoy a cool drink on the breezy terrace outside or enjoy the fireplace inside, where the many windows and glass doors work with the white modern features to flood the house with light. 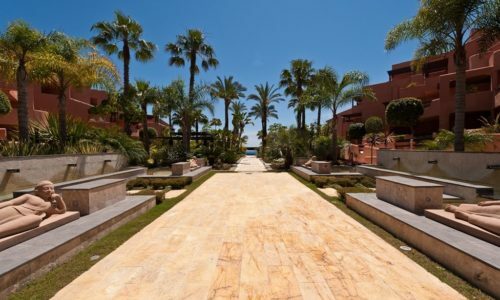 Lowered in price by a stunning € 304,000 after being repossessed by the bank, this apartment is one of the luxury modern homes for sale which come with many communal benefits: a large stunning outdoor pool and quality indoor pool, gym and spa. Every day you get to do what you feel like: Spend a day working out or relaxing in the comfortable indoor facilities of the complex, wake up in the sunny morning and decide to take a walk on the beach, which you can see from your window, or dine in one of the fine restaurants nearby. And when the day’s over, return to your stylish modern home where air-conditioning, under floor heating and a Domotica home system, amongst others, make life easy for you. 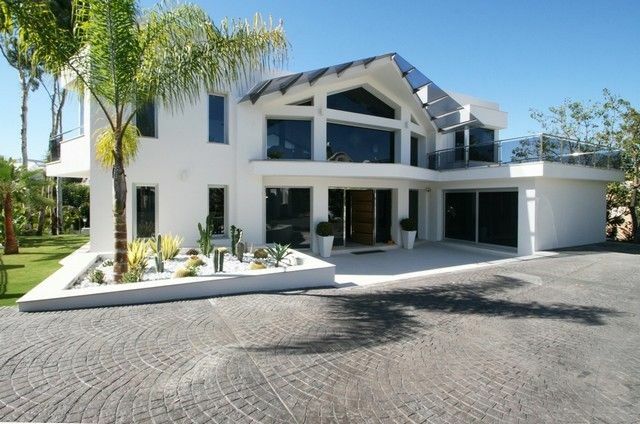 This spectacular modern villa is located within a gated community, ensuring safety and peace of mind. With stark modern architecture, open plan design and high ceilings, this home feels spacious and luxurious. Take in the panoramic view from your own private infinity pool or prepare a nice meal in the kitchen and take it right out the door to your patio to enjoy outside. There’s nothing here to stop you from relaxing in style. Do you like to start with a clean slate? This impressive 5 bedroom villa has a majestic look from the outside but feels pleasantly light and elegant on the inside. 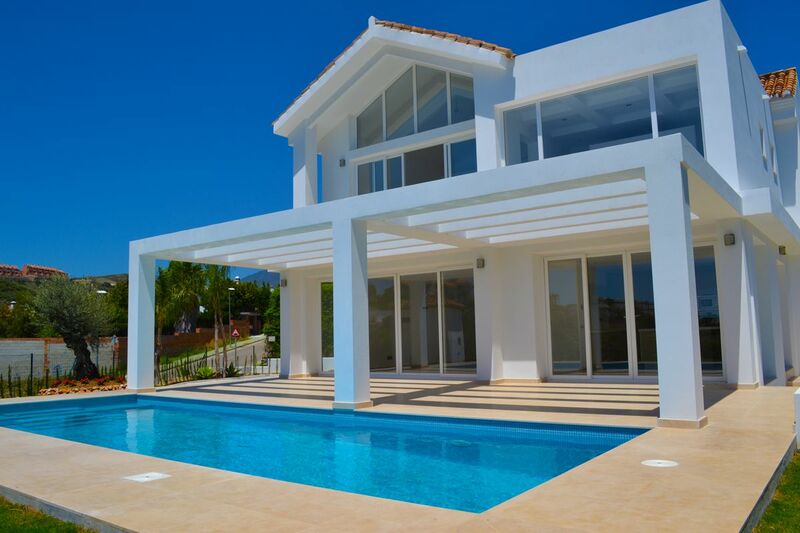 Being unfurnished, you have all the space to make this modern villa your own. Unleash an interior designer or hand-pick everything yourself – this villa has the potential to become your own personal paradise retreat. Stunning features like a bath tub with a view, glass walls and panels which allow for the maximum amount of natural light, and sleek modern appliances make this a modern home to be proud of. 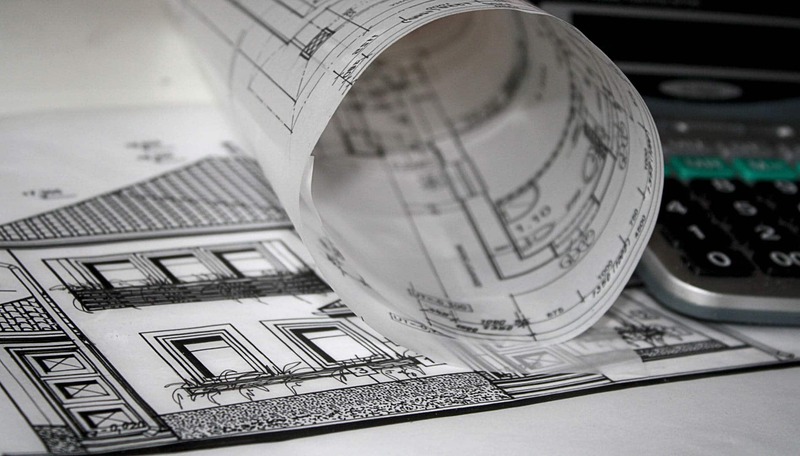 If you want to be absolutely sure your home is up-to-date and of the best quality, having it built brand-new is the obvious way to go. 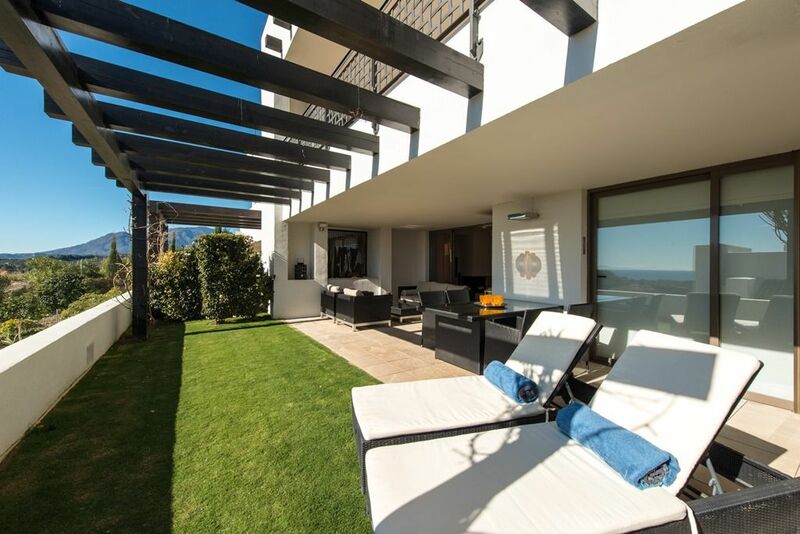 This contemporary villa is built in La Alqueria, Benahavis but could also be built on another plot of your choice. It is delivered turn-key and has amazing glass walls nearly all the way around the floors, supplying you with a beautiful vista from every point in your home. 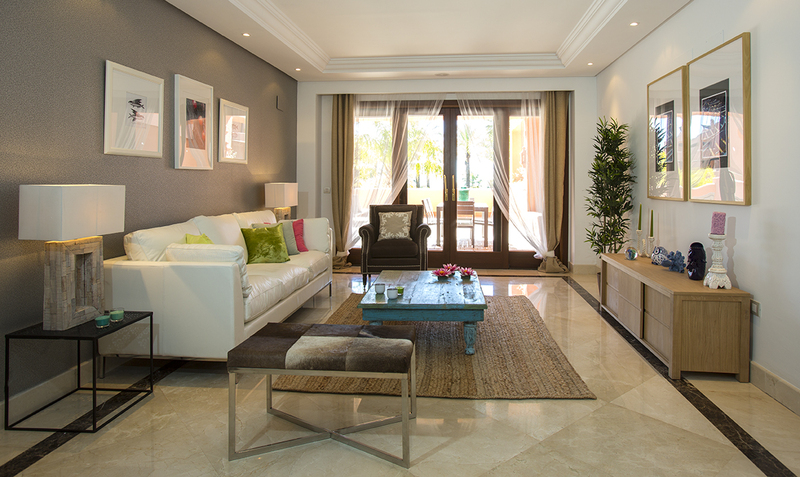 On top of that, a newly built landscaped garden with private swimming pool is also included. 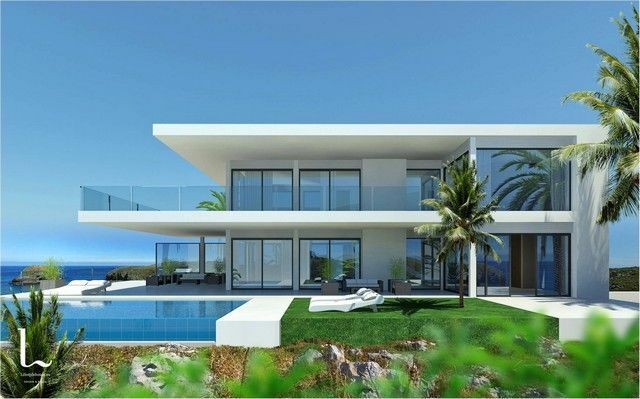 Light, extensive views and astonishing modern design are the core features of this villa. 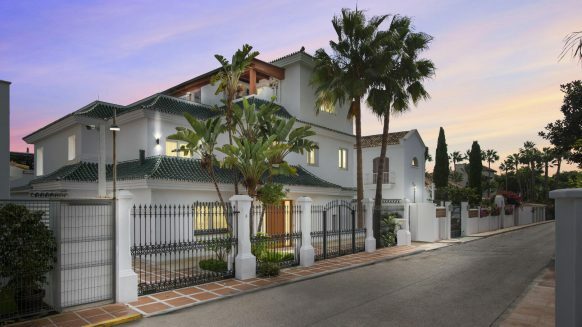 This villa is unique compared to the luxury modern homes for sale in the area. 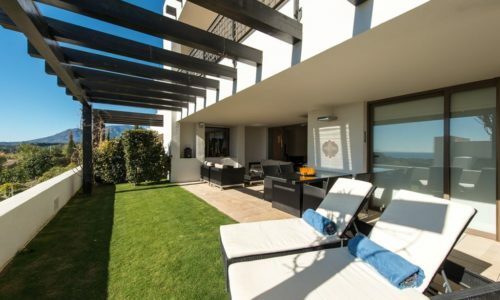 Built over three levels with great views of the thirteenth green of Los Naranjos Golf, this striking home is a classic example of modern design. Black and white dominates the stylish interior which features polished, linear architecture and an awe-inspiring high ceiling in the living room. Truly a home you have to see to believe. 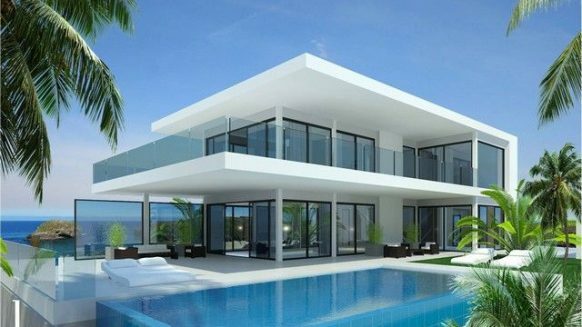 This is just a handful of the luxury modern homes for sale near Marbella. 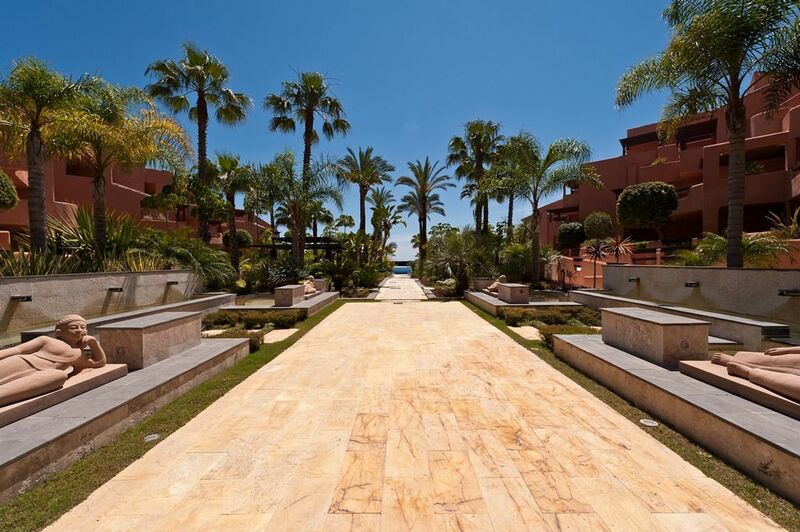 If you’re interested in buying a contemporary apartment or villa in this region, there’s plenty more to see in our selection of homes currently available. What would your ideal modern home look like?